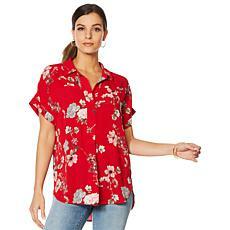 A cool camp shirt takes you through summer in style. Crafted from textured crepe or rumpled woven fabric, this light and comfy pullover adds a collar for a polished look. 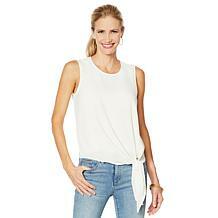 Good to Know Layer with a cami or tank for modesty. 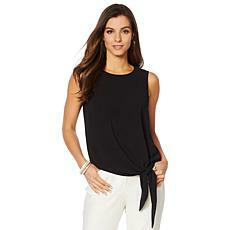 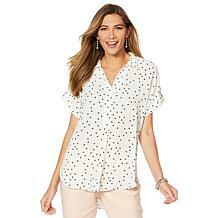 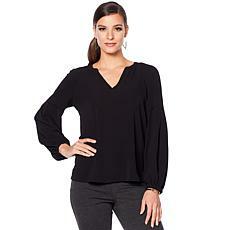 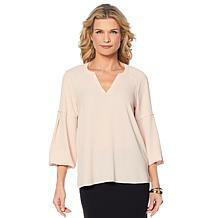 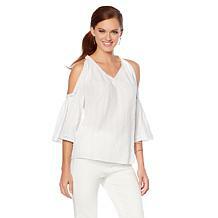 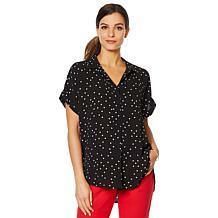 Look polished for work or social in this uniquely textured blouse. 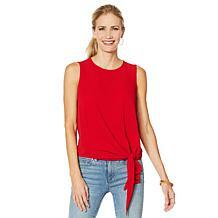 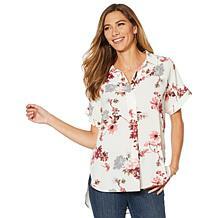 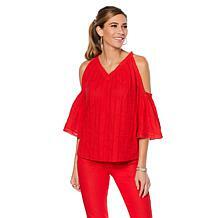 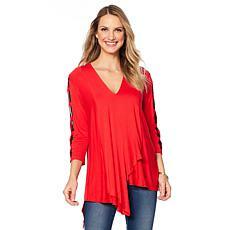 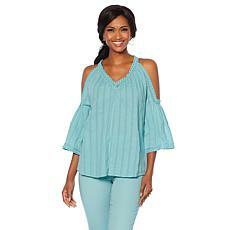 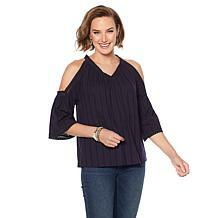 It has a slight bit of stretch and a loose fit for comfort and wonderful bubble sleeves for a feminine finish. 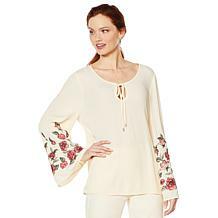 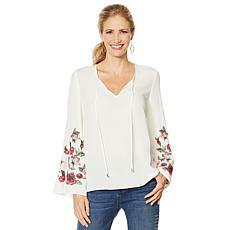 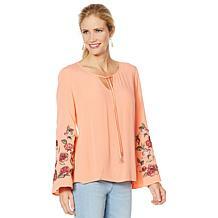 We gave this work-to-weekend style a unique crinkle texture and embroidered bell sleeves.